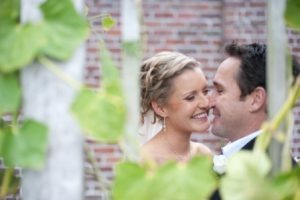 Auckland wedding planners offer you the possibility to enjoy the perfect New Zealand wedding in the countries largest city. We make it easy to exchange vows and Auckland has the most scope of all of the NZ regions to marry with great photos. There are many amazing photo opportunities at every turn. Beautiful sandy bays, towering volcanoes and glistening harbours are scattered throughout this region. West Coast black beaches with huge surf and quaint islands close to the inner city. If you would like to plan an Auckland holiday while you get married in this metropolitan city, there is plenty to do. Auckland has many attractions from sailing, heli-tours, vineyards, walking tracks, hunting and fishing with fabulous scuba diving to name just a few. It also boasts a few international golf courses to choose from with lovely wineries to quench the thirst. 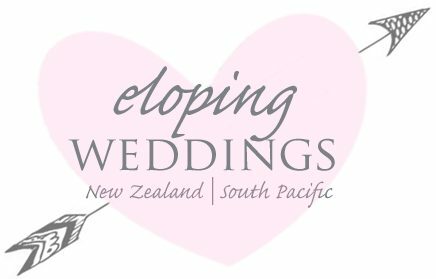 Eloping Weddings can arrange your whole wedding day and save you money! Thats right, we can handle the whole event and provide you will proven suppliers from the Auckland region so your wedding day flows perfectly. Auckland has more beaches than any other part of the Country. It’s also highly volcanic and boasts three harbours, a huge range of streams, rivers and vineyards with two mountain ranges. Don’t panic, all the 48 volcanoes are dormant. New Zealand has a place called the Bay of Islands but it’s of note that Auckland has more than 50 islands too. Many of these islands are accessible by ferry or boat and some have world class wineries. Auckland has a year round, warm coastal climate and is a well proven wedding destination with lots of scenery and activities on offer. We can pre book all your adventures for your convenience. Sky City Casino, Americas Cup Sailing, Dolphin and Whale watching, Wines tours, AJ Hackett Bungy, Heli-flights, Kelly Tarltons all make up our partners list. Contact us for an information pack complete with prices on our Auckland weddings. We have a variety of options to contact us for your convenience. The creative team at Eloping Weddings Limited.